The variable amplitude and speed TEOS orbital shakers/mixers are based on a novel design principle (US Patent 5,988.869). 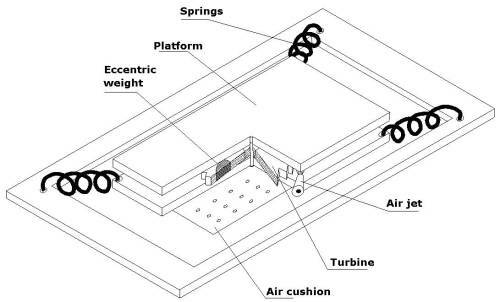 A plate holding platform floating on air bearings and air driven high speed turbines with calibrated eccentric weights combine to provide a unique vortex generating capability, repeatable return to "Zero X-Y" position and high reliability. High-speed orbital motion with adjustable amplitude and the resulting linear liquid speed (RPM) enable sustained uniform mixing in high-density 384, 1536 or 3456 well uHTS plate formats. Various video clips taken with high speed camera and in real time show effective vortex generation in different types of micro-titer plates. (Vortex in 384 well plate, Vortex in 1536 well plate, Mixing in 384 well plate). The TEOS orbital mixing technology is also well suited for handling heavier loads. The orbital platform floats on air bearings, which enable handling of deep well plates, synthesis blocks, arrays of vessels, etc. Integration support for the TEOS is also available on a custom basis. Custom requirements in device footprint, hardware and software design and integration are routinely performed.